Campus Bike Consultant Karen Brooks (above, left) gives a bicyclist tips on braking, turning, and starting and stopping in an urban context. “Just Ride!” That’s the theme of Carnegie Mellon’s Athletics, Physical Education and Recreation Department’s Fitness Challenge this summer, which encourages faculty, staff and students to enjoy the exercise and fun of bicycling. The challenge debuted at the end of May with a workshop on bike handling skills. Taught by campus Bike Consultant Karen Brooks, the workshop introduced beginning handling skills to encourage confident bike riding on campus and around Pittsburgh. Participants were given tips on braking, turning, and starting and stopping in an urban context. Campus community members can participate even if they don’t have a bike. “For those who don’t have their own bike, we will have bikes available to borrow, for free, generously supplied by Healthy Ride bike share,” Brooks said. “It will be a nice way to get introduced to Pittsburgh’s bike share system, which will soon be expanding with more stations around campus." Future sessions of “Just Ride!” will involve group bike rides to Schenley Park and the South Side, as well as a bike repair workshop. The rides will be “no-drop,” traveling at a casual pace so that everyone can keep up. Interested campus community members can sign up at the Equipment Desk across from Wiegand Gym or the Fitness Center Desk in the Cohon University Center. 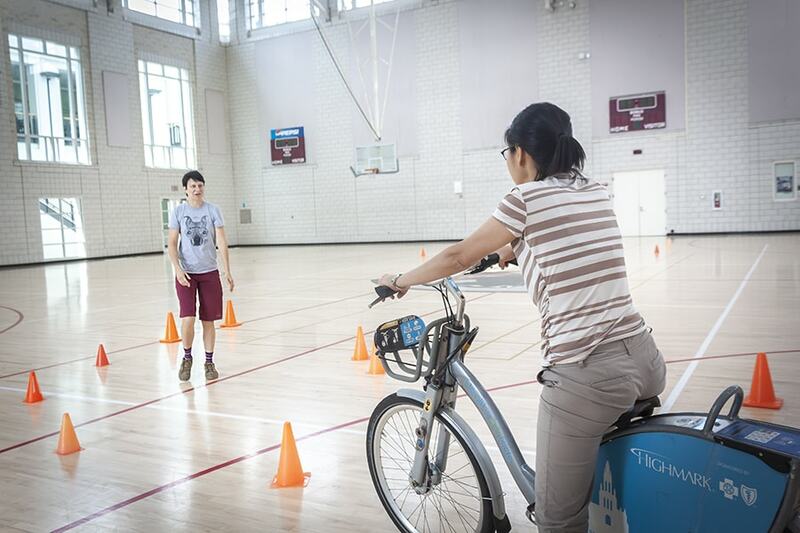 The Summer Fitness Challenge is a series of free workshops, clinics, and community bike ride sessions intended for campus bike riders of all skill levels. The program will be held every Wednesday this summer. Participants will meet at either Wiegand Gym (for workshops) or at the Walking to the Sky sculpture (for community bike rides) for hour-long sessions starting at either noon or 5 p.m.
For a full schedule of the sessions, please contact Karen Brooks at kbr00ks@andrew.cmu.edu. The four Carnegie institutions in Pittsburgh — the Carnegie Hero Fund Commission, Carnegie Library of Pittsburgh, Carnegie Museums of Pittsburgh and Carnegie Mellon University — will play host to a celebration of their founder, Andrew Carnegie, at the Carnegie Music Hall in Pittsburgh on June 12. The event is not open to the public. “The Power of One — A Tribute to the Power of the Individual” is the second event in a year-long series to commemorate the 100th anniversary of Carnegie’s death in 1919. It will include a program that celebrates Carnegie’s philanthropy in Pittsburgh and his focus on civilian heroes with the 1904 founding of the Carnegie Hero Fund. The Hero Fund will present the Carnegie Medal to its 10,000th and 10,001st heroes at the event. Pittsburgh-born actor Michael Keaton, who received an honorary degree from CMU in 2017, will be the keynote speaker. Keaton is well known for his role as Batman and as the star of the Oscar-wining film "Birdman," for which he won a Golden Globe and was nominated for an Academy Award. He also starred in “Spotlight,” making him one of the few actors whose films won the Oscar for Best Picture in consecutive years. Vickie Tillman of Baton Rouge, La., and Jimmy Rhodes of Lumberton, N.C., have been named the commission’s 10,000th and 10,001st Carnegie Heroes, respectively. Last winter, Tillman, a 56-year-old school cafeteria clerk, stopped her car to rescue a wounded police officer struggling to take a man into custody. In July 2015, Rhodes, a 38-year-old radiographic technologist, rushed to the scene of a fiery helicopter crash to rescue the pilot. The university’s updated Purchasing Policy was posted on May 31, 2018, to address changes to the federal "Uniform Guidance Procurement Standards." The university must be fully compliant with these UG changes by July 1, 2018. Prior to launching, the updated policy completed the University Policy on Policy Development requirements, which include a vetting process with university leadership and campus stakeholders, a 30-day comment period open to the university community and approval from the president of the university. Several training sessions were offered to the university buying community to highlight impacts and changes resulting from the updated policy. Additional information about the policy updates is available on the Finance Division news website. For questions, contact Procurement Services at procurement-inbox@andrew.cmu.edu. The Environmental Health and Safety Department will be conducting building evacuation drills this summer between 8 a.m. and 12 noon, beginning Monday, June 11. The revised schedule follows. The power to Baker and Porter halls will be off from 5:30 a.m. to 5:30 p.m., Saturday, June 9, in order to continue work on the two circuits for those buildings. If you have questions or concerns, please contact Lenny Libbon at LL1R@andrew.cmu.edu. 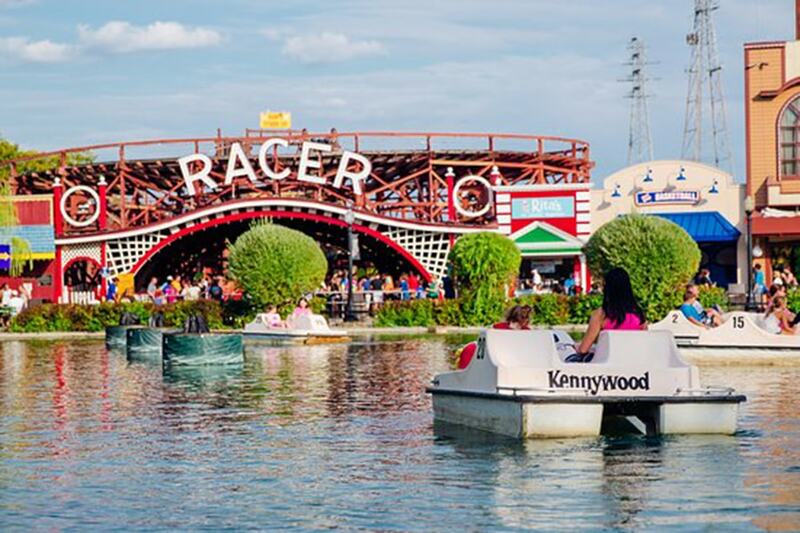 CMU's Community Day at Kennywood Amusement Park is this Saturday, June 9. Tickets are on sale today and Friday in the Cohon University Center.